Her partner had been touring and commuting on a Rohloff SPEEDHUB 500/14 internal gear hub for quite some time, and suggested she consider internal gearing as the most reliable option for her new commuter. After she came across Cycle Monkey while searching for an internal gearing specialist, she reached out to discuss the options for a custom build. German brand Tout Terrain seemed to fit the bill, with a strong reputation for reliability and utility and enough versatility to take on both daily chores and epic adventures. 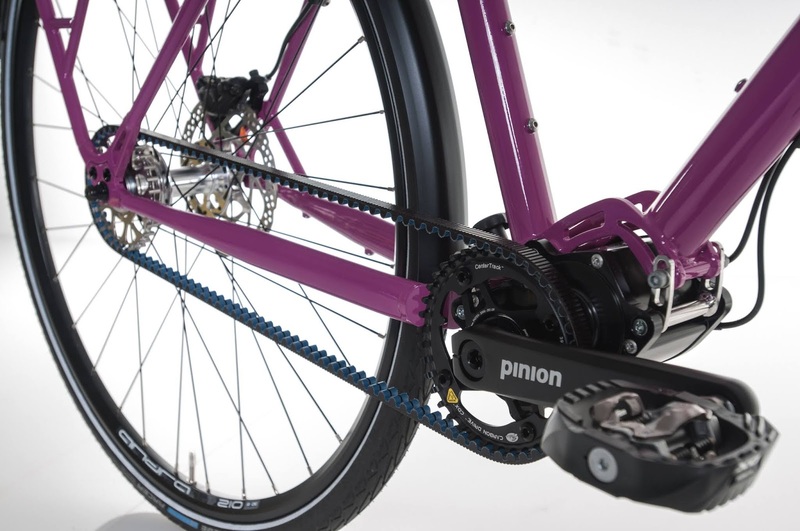 Pinion’s P1.18 gearbox was selected as the basis of the drivetrain thanks to its unparalleled gear range. 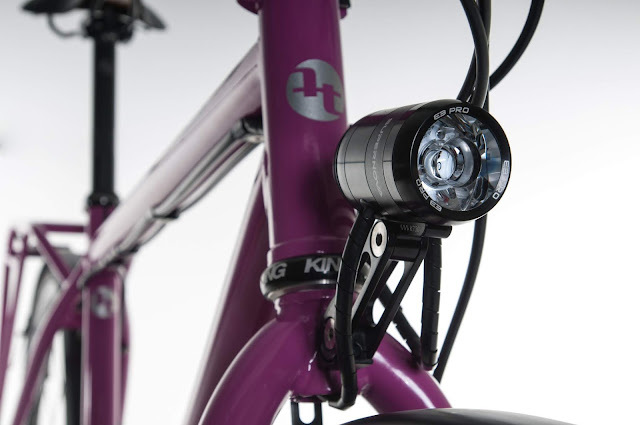 A dynamo hub and lighting were included for worry-free year-round commuting, along with a USB charger for keeping electronics charged on the go. Tout Terrain is often our first recommendation when customers approach Cycle Monkey asking for a versatile, internally-geared bike they can use for both touring and commuting. The touring-oriented brand’s lineup is full of steel frames designed to wear many different hats, and the Via Veneto at the heart of this build is no exception. For a complete guide to Tout Terrain's models, check out our buying guide. In line with their design philosophy of building versatile bikes that are platforms for personalization, Tout Terrain offers a custom paint option that can accommodate virtually any request. You simply provide an RAL color sample to the factory, and they'll deliver a powder coat frame to match. Seeking something totally unique, this customer took full advantage of this option to get a frame that matched her favorite finger nail polish. Optimized around fast-rolling 700c wheels and capable of receiving tires up to 42c wide, the Via Veneto features comfortable, natural geometry and an integrated rear rack. 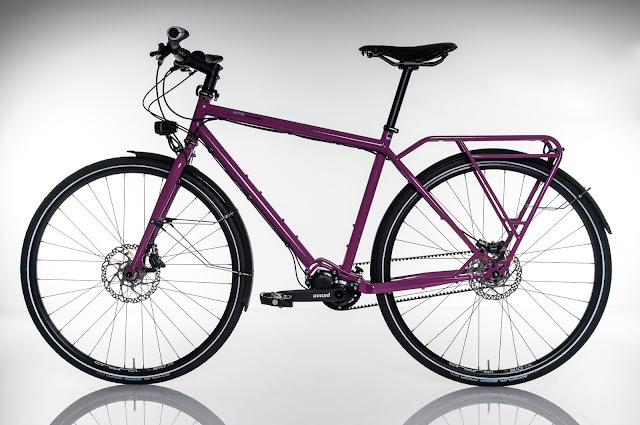 It’s an ideal choice for touring riders who also want to use their bike on a daily basis, and like all Tout Terrain models, it’s available with either the Rohloff SPEEDHUB or any of Pinion’s low-maintenance gearboxes. This particular customer preferred the aesthetic and feel of the Pinion’s central location at the bottom bracket, and wanted more gears than the 14 speeds provided by Rohloff's SPEEDHUB. Accordingly, she opted for Pinion’s widest-ranging option, the P1.18. With a 636% gear range spread over 18 speeds, the gearbox allows for easy climbing on the steepest grades, even with a full touring load. And like all internal drivetrains, shifting components are entirely encased within the gearbox, making them virtually impervious to the elements and minimizing maintenance. 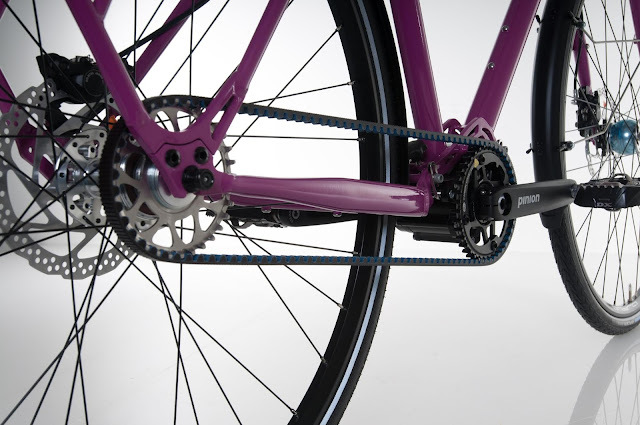 Internal gearing systems also open up the potential to run a belt drive system like those from Gates Carbon Drive. Belts are cleaner and quieter than chains, and they require no lubrication, which means no more messy hands. They also last 2-10x longer than chains (depending on application), and reduce wear on sprockets for a more durable complete drivetrain that rarely requires new components. 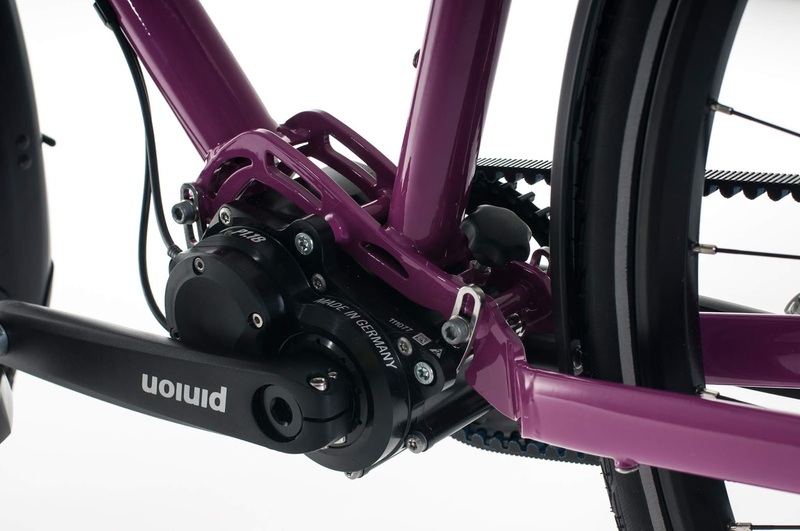 Tout Terrain’s frames come standard with a split in the rear triangle for easy belt installation, making them an excellent choice for riders looking for a stock option that allows them to enjoy the benefits of Carbon Drive. As a daily commuter, accessories were selected to further the bike’s potential as a “grab and go” . 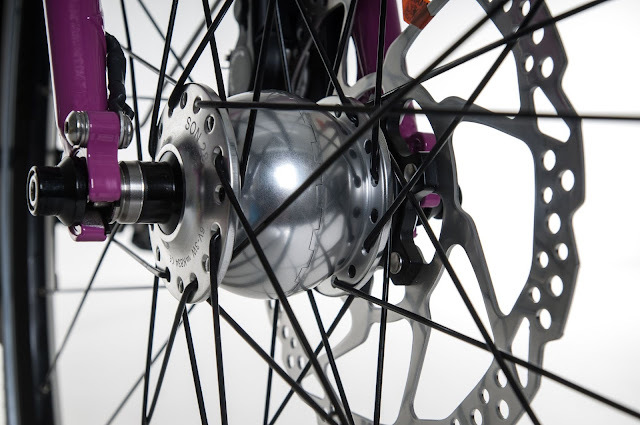 The SON 28 dynamo hub employs a small electric generator to capture power from the front wheel, which is in turn used to power the Supernova lighting system and aftermarket USB charger. 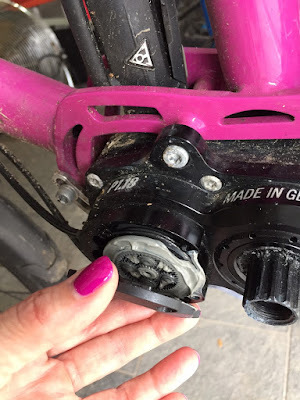 Dynamo hubs are an excellent solution for daily riders and bike tourers, because they ensure your lights and accessories continue working even if you don’t have access to a charger or simply forget to plug them in after a long day of riding. Anyone riding daily on the Eastern Seaboard is sure to encounter wet roads from time to time, so the bike is equipped with low-profile front and rear fenders. Shimano‘s XT hydraulic disc brakes provide ample stopping power in the rain and on light dirt, with levers mounted to a wide flat bar that provides additional stability and ease of handling. 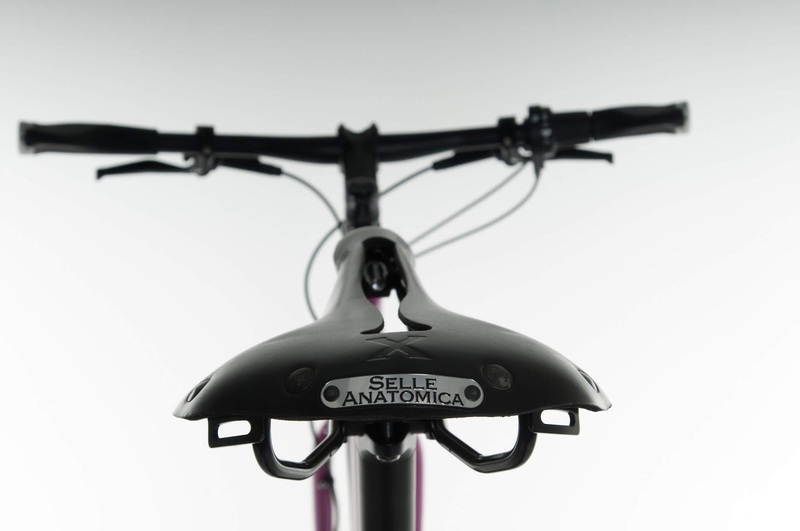 Further comfort for long days in the saddle is achieved with an ultra-compliant saddle courtesy of Selle Anatomica. Despite the distinctly Italian name, this California-based brand produces high-end saddles with ergonomic cutouts in a variety of different materials, such as this one in classic black leather. Their saddles provide comfort straight out of the box with or without padded riding shorts, and give a sense of sitting in a hammock. Schwalbe’s Marathon Racer tires provide a modest tread for those wetter days, with excellent rolling resistance and the lightest weight of any tire in the Marathon line. They are mounted to Ryde’s Andra 210 rims, a favorite of ours at Cycle Monkey for their reliable strength, modest weight, and approachable price point. All said and done, we were able to work with this customer to build a low-maintenance, easy-go machine that’s made her daily trips around the DC metro area something to look forward to. We were thrilled to hear that she’s also taken the bike on a few tours! 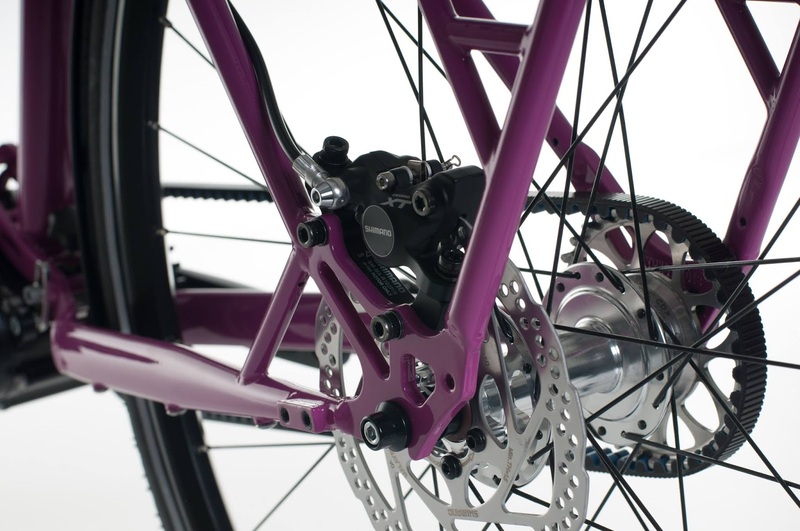 If you’re looking for a custom build around an internal drivetrain, or want to discuss the potential of retrofitting an existing bike with a Rohloff hub or Gates Carbon Drive belt system, don’t hesitate to drop us a line. If you'd like to stay up-to-date with our latest blog posts and all things in the world of internally-geared bicycles, be sure to follow us on Instagram and give us a like on Facebook.